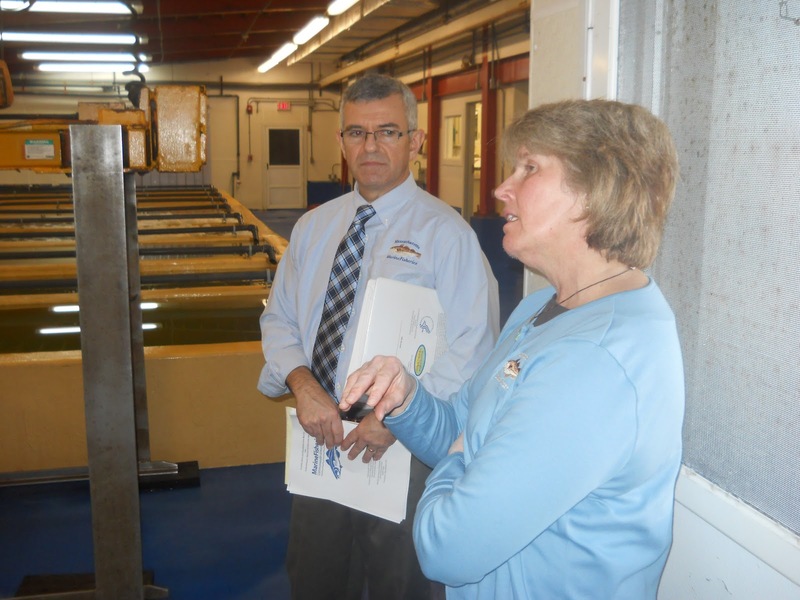 On Saturday a group from Mass Oyster enjoyed a fascinating tour of the Newburyport Shellfish Purification Plant that is located on the very Northern Tip of Plum Island. 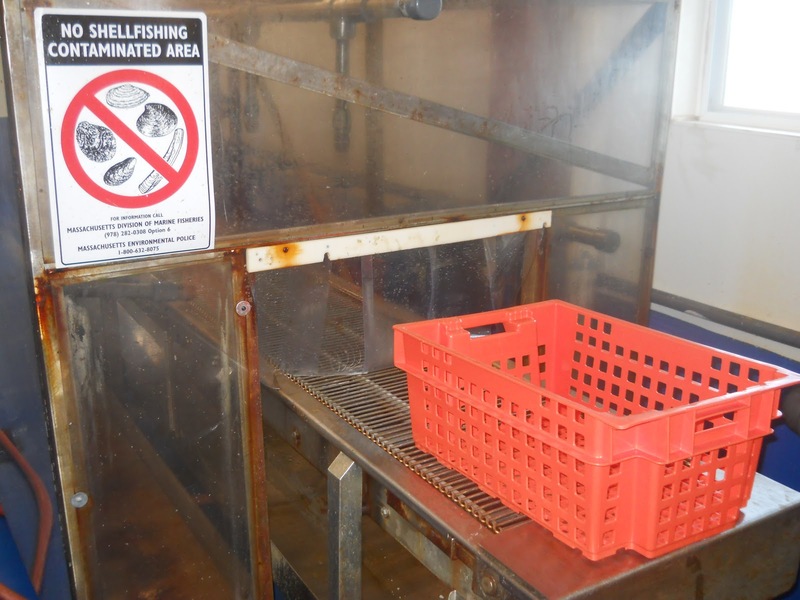 It is one of only a few publicly run shellfish purification plants in the country. 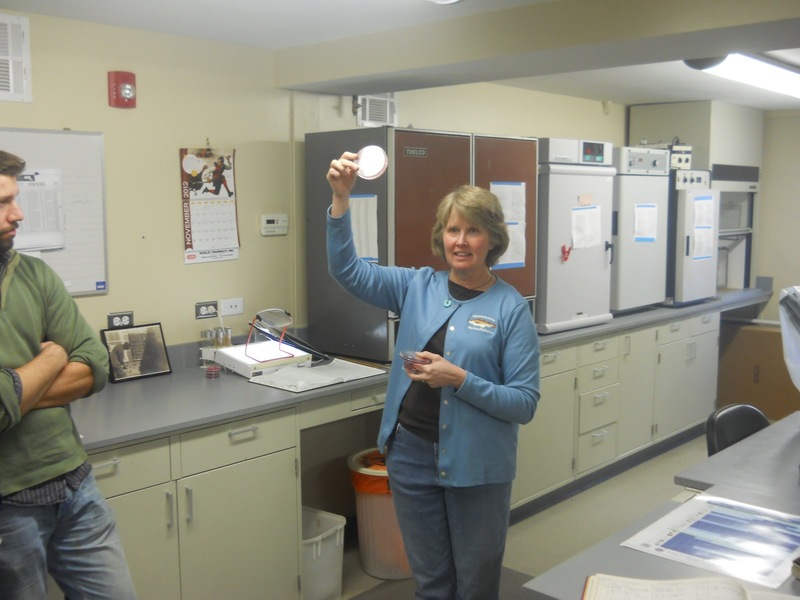 Diane Regan and Jeff Kennedy were veritable founts of information providing a soup-to-nuts discussion of clams in Massachusetts. We thank them for giving of their time so generously on a beautiful Saturday afternoon. In the 1920’s there were significant problems with food safety in the U.S.. As the country became more crowded and industrialized waste treatment was still rudimentary and coastal water quality began to fall. Steamer clams were being harvested from less pristine waters and shipped around the country. As they were traveling longer before consumption there was more time for them to go bad and for people to get sick. 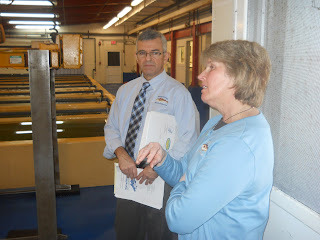 Recognizing that there was a problem Newburyport established a shellfish purification plant. The plant would later be taken over by the Commonwealth of Massachusetts. Later the Federal Government would begin regulation of shellfish through the FDA, the same organization that oversees milk quality. The FDA publishes an extensive manual that contains inches of regulations on the harvest and handling of shellfish. Interestingly, the US regulations are much tighter than the European ones and the import of European Shellfish is basically taboo due to the health concerns. The purification plant allows the harvest of clams from waters of marginal water quality, which otherwise would not be fit for consumption. 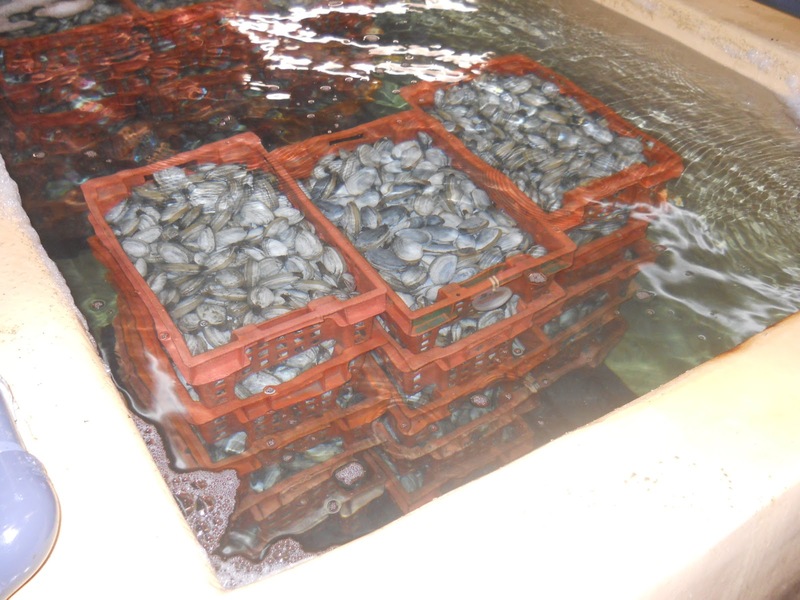 Under a tightly regulated process, the clams are harvested from coastal areas, including Boston Harbor; they are locked in trucks that follow specified routes to the purification plant. The collection-trucking process is thoroughly documented to prevent diversion. Some of the tracking paperwork. Apparently in the 1970’s diversion was going on, and clammers were selling a portion of the clams from marginal waters directly to bars and restaurants. A TV news reporter highlighted this in “Clam Scam” that created the impetus for establishing the current system. Clams undergoing the purification process. In the plant, they take filtered salt water from two springs and soak the clams for a period of several days in several large tanks. While the clams are in the tanks the water is run through filtration lights to eliminate bacteria that are released from the clams. Following treatment, the clams are rinsed off in a high power rinsing station. Diane Regan show a plate ready for counting. After treatment a random sampling of the clams are taken, ground up and then a portion of the liquid is alloquotted onto agar plates. The bacterial count is taken using E.coli. E.coli is a surrogate for viruses that would make the clam eater sick. Unfortunately it is expensive and difficult to test for those viruses directly. So they test for E.coli. E coli is also the measure used for looking at water quality and where shellfish may be harvested.Assuming they pass all the tests, which they usually do, they are shipped out to market. Greg Hanson counts the colonies of E.Coli. The tour was scheduled for an hour, but took two as there were lots of questions and sidebars taking us off-topic into other areas of coastal ecology. One interesting observation from an oyster restoration perspective was that the regulation of shellfish in the Commonwealth has grown out of a food safety program. With this singular historic perspective, there has been little discussion of oysters as habitat for 100 other species. As a result MOP has been in the challenging position of asking our officials to look at the situation from a different perspective when we discuss oyster restoration. Increasingly, we seem to be finding more common ground, particularly when we think of oyster propagation zones.